The 2008 Honda CR-V consistently has one of the highest projected residual values in its segment--meaning that buyers of the 2008 Honda likely won't have to worry so much about getting a portion of their money back when they go to trade it in. On the flip side, lease shoppers might be able to find a sweet deal because of this. The 2008 Honda CR-V doesn't have hip style or performance on tap, but it has the security, utility, and frugality that many sensible moms want. TheCarConnection.com read the range of reviews for the new 2008 Honda CR-V to produce this comprehensive review of the new Honda CR-V. TheCarConnection.com's editors have also driven the Honda CR-V and add their expert opinion for the aid of shoppers who might be considering the model. The Honda CR-V is a compact crossover utility vehicle that fits into Honda's lineup below the mid-size Pilot; unlike the Pilot, the smaller CR-V has only two rows of seating. 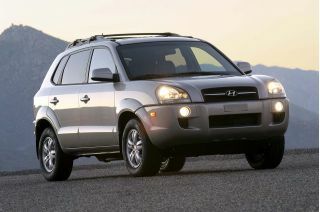 Completely redesigned for 2007, the new generation features lower (by 1.3 inches) step-in height and is actually shorter overall than the '06 model it replaces, but has a roomier interior. The exterior styling of the 2008 Honda CR-V, with its mix of arcs and creases, looks a little odd from some angles, but inside, the CR-V's styling is more universally attractive, with an instrument panel that's upright, if a bit trucklike, and nice contrasting materials and brightwork. The shifter is located at the bottom of the dash, in the center, instead of on the steering column or between the front seats. The backseat area folds down to a completely flat loading floor and a cargo area that's quite expansive, thanks to the tall body. The hatch opens upward, rather than to the side. Despite offering only a four-cylinder engine while some of the competition provide V-6 options, the 2008 Honda CR-V coaxes adequate performance from its 166-horsepower, 2.4-liter four-cylinder engine and feels quite refined with the smooth-shifting five-speed automatic, although we find it reluctant to downshift for steep grades. Fuel efficiency is admirable; EPA highway estimates range up to 27 mpg. 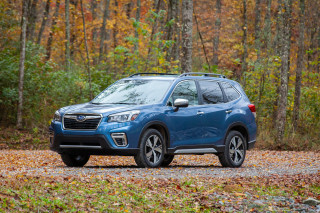 An improved all-wheel-drive system is available, and it works with the stability control system to send power to the wheels where it's needed most. 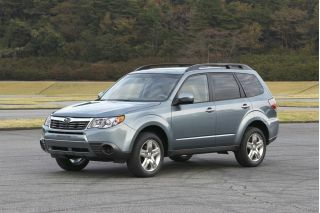 Handling feels stable but not very sporty; the emphasis is clearly comfort and quiet. The top-of-the-line EX-L adds many desirable features such as dual-zone climate control, a power driver's seat, and a premium audio system; a navigation system and backup camera are optional. Safety features are a priority for frugal and pragmatic shoppers who might consider the Honda CR-V; it includes electronic stability control, front side airbags, and side curtain airbags as standard, along with anti-lock brakes. Those shoppers will be even more thrilled to hear that the 2008 Honda CR-V gets five-star ratings for frontal and side impact in the federal government's crash tests, as well as straight "good" ratings--the best--from the IIHS, which made the CR-V one of its 2008 Top Safety Picks. The 2008 Honda CR-V's exterior gets mixed reviews, but the inside is aesthetically pleasing. The 2008 Honda CR-V has a polarizing outer style that gives reviewers pause—thankfully, the interior’s a lot less controversial. Completely redesigned for 2007, the new CR-V features lower (by 1.3 inches) step-in height and is actually shorter overall than the '06 model it replaced, but it has a roomier interior. The exterior styling of the 2008 Honda CR-V, with its mix of arcs and creases, looks a little odd from some angles, but inside, the CR-V's styling is more universally attractive. Car and Driver says the new 2008 CR-V’s “styling may not please everyone.” That’s putting it mildly, when other reviewers have their say. 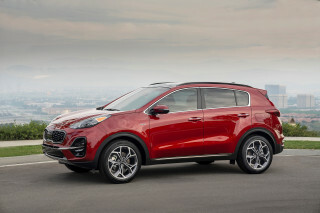 Motor Trend points out, “It's more jelly-bean-shaped, far more emotional in its details. 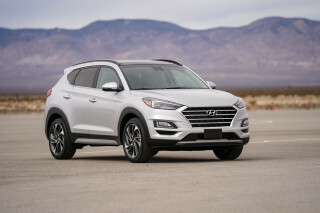 The headlights are flare-back like an extreme facelift; the pursed-mouth grille is now slightly opened, as if it might snap at you.” Edmunds calls it “sort of weird-looking,” and Cars.com says it “has an underbite,” though “from every other angle the CR-V’s design shines.” Kelley Blue Book agrees, commenting that the "side view is dramatically different than past CR-Vs." Cars.com likes the “subtle creases on the bodyside and around the wheel wells also help the CR-V avoid the slab-sided look of early-generation SUVs." Don't expect to do much sporty driving in the 2008 Honda CR-V--but do expect to fill up less often than with other compact crossovers. 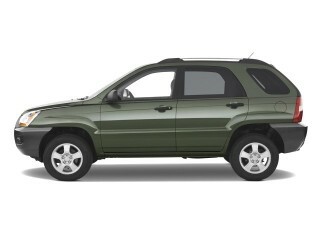 The 2008 Honda CR-V suffers with performance that’s four-cylinder drab, though handling is a brighter spot. Despite offering only a four-cylinder engine while some of the competition offers V-6 options, the 2008 Honda CR-V coaxes adequate performance from its 166-hp, 2.4-liter four-cylinder engine, and feels quite refined with the smooth-shifting five-speed automatic. However, we find it's reluctant to downshift when needed for steep grades. 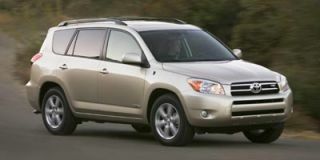 While Mother Proof deems the 2008 Honda CR-V's engine "perky and surprisingly quick," Motor Trend warns, “On the road, the CR-V isn't powerful--its 166 hp and 9.2-second 0-to-60-mph time (produced by this front-drive version)--will keep you happily abreast of traffic, but will also probably dissuade you from any particularly daring maneuvers.” Edmunds is pretty much in agreement on this subject: "Engine and transmission can be overwhelmed by hilly stretches of highway"; they warn "highway passing can be an adventure." Car and Driver sums it up in three words: "forget drag racing." Handling feels stable but not very sporty; the emphasis is clearly comfort and quiet. 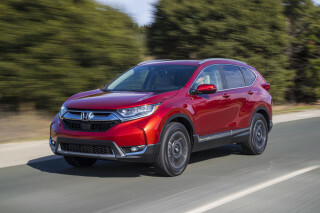 Honda’s CR-V is more agile than most compact crossovers, according to Edmunds: “it feels light on its feet, with well-weighted steering that provides excellent feedback,” they say, and “ride quality is composed and comfortable.” Car and Driver likes the “good driving manners,” and Cars.com remarks it “reacts with an intuitive feel that's rare in non-luxury cars”—though Motor Trend notices “a tendency to periodically 'tramline' on certain surfaces.” The most glaring exception is Mother Proof, whose test driver does not care for the 2008 Honda CR-V's tight suspension, reporting that she could "feel every bump" and finds herself "dreading speed bumps and freeway speeds more than usual." 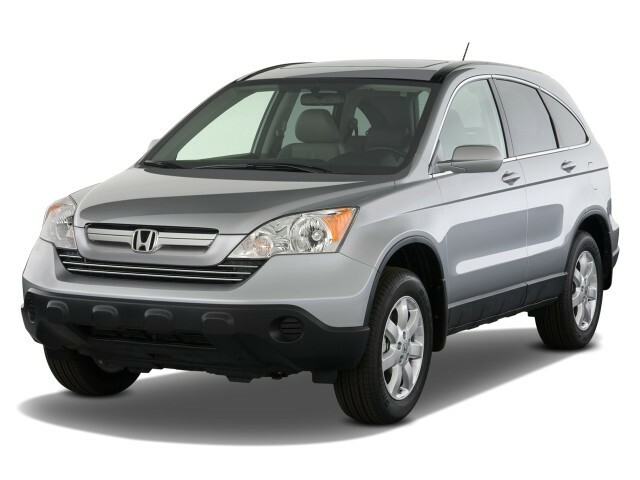 If a comfortable ride is more important to you than looks or power, you should like the 2008 Honda CR-V. The 2008 Honda CR-V offers a reasonably roomy cabin for four adults, but its chief attraction is exceptional build quality. When it came to quietness, most sources have positive comments. Edmunds reports "the cabin is well-insulated from the road noise that plagued past CR-Vs," while ConsumerGuide notes minor noise: "Engine noise intrudes during acceleration. Tire noise is noticeable on most road surfaces but doesn't annoy. Some wind rush is noticeable around exterior mirrors." The 2008 Honda CR-V is among the safest vehicles in its class. Whatever other shortcomings the 2008 Honda CR-V has, there's virtually no room for criticism when it comes to safety. The Honda CR-V gets a perfect 10 out of 10 for keeping its occupants safe and secure during travel and in case of an accident. The Honda 2008 CR-V scores top marks (five out of five) in front- and side-impact crash tests by the National Highway Traffic Safety Administration (NHTSA) and four out of five on rollover resistance tests. 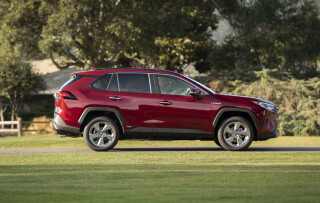 The vehicle receives the highest rating ("good") from the Insurance Institute for Highway Safety (IIHS). Edmunds reports, "All major safety features are standard on the 2008 Honda CR-V, including antilock disc brakes, stability control, front-seat side airbags and full-length side curtain airbags." Kelley Blue Book notes "visibility is good in all directions, even to the rear." Although backup cameras are available only for the top-of-the-line trim, the EX-L, Edmunds reports that Honda can install parking sensors on lower-line models. The 2008 Honda CR-V comes well outfitted for urban ute duty. 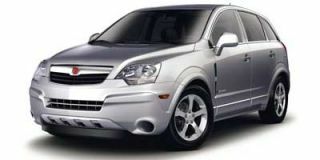 Most reports reviewed by TheCarConnection.com were impressed with the features available for the 2008 Honda CR-V. The CR-V comes in three trim levels: LX, EX, and EX-L. Every 2008 CR-V offers standard equipment, including cruise control, keyless entry, power locks/windows/mirrors, a tilt-telescope steering wheel, and an AM/FM/CD player with an auxiliary jack, Edmunds reports. The EX adds a sunroof, steering-wheel audio controls, and a six-CD changer, while the EX-L puts in leather seating, a power driver seat, dual-zone climate control, seat heaters, and a front center console, along with satellite radio and an upgraded audio system. The only option, Edmunds adds, is a navigation system that includes a rearview camera and a slot for digital cards for music playback. Vehicle controls are very user-friendly, according to Kelley Blue Book: "the CR-V's dual-dial dash is an easy read, controls and switchgear are all within arm's reach and simple to operate."